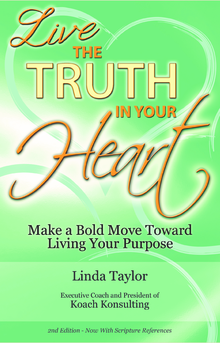 Linda Taylor knows what it is like to find yourself in a place that was created for you and not by you. She understands what it is like to have a pull on your heart that is so strong you are compelled to embrace change in your life. Linda knows that within all of us is a promise of greatness and that all we have to do is have enough faith to take BOLD action! As you read LIVE The Truth In Your Heart, I pray you realize that despite where you have been and despite where you are today, God has something greater planned for your future. In fact, He says His plans for your life are inconceivable! So whatever you have in mind, I encourage you to think bigger, much bigger! God wants to use you and all that you bring to the table for His glory. There is a truth that has been hidden in your heart, and God knows all that you hope for. He is intimately acquainted with every aspect of your life and He knows your potential; even more than you know yourself. God wants you to stop long enough to know that He is on the throne and He is working it out in your favor! 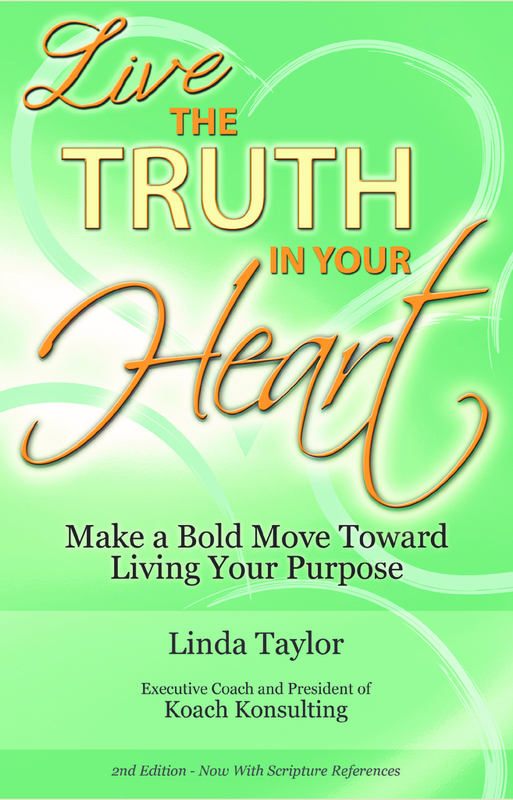 If you are ready to live your absolute best life, I encourage you to make the commitment to LIVE The Truth In Your Heart!